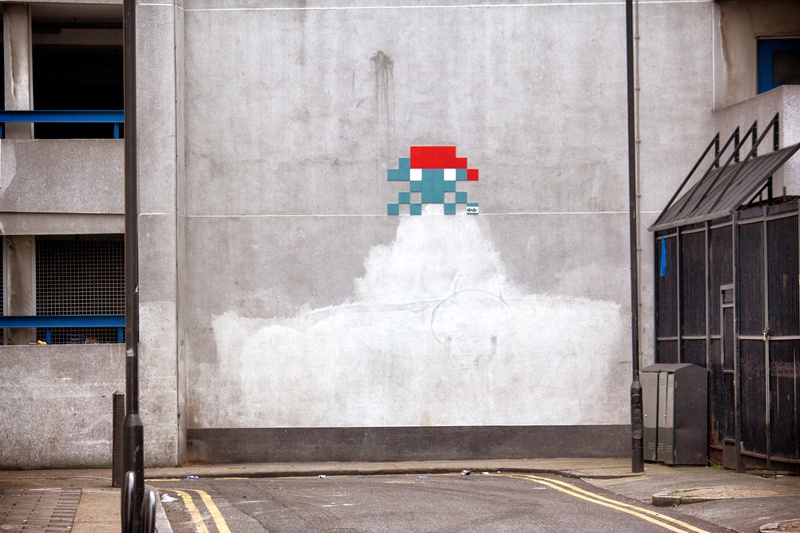 Another invader, this time on West Central Street, just off New Oxford Street. I’d like to know what was underneath and now painted white. There’s a suggestion of an alien.